Now that summer is here in full swing, you have many options for an enjoyable day out on our reserves. Whether you fancy a day in the countryside, enjoying one of our many events, or just keen to take the opportunity to spot some wonderful wildlife; the choice is vast. Here are some of the summer spectaculars on offer at RSPB Cymru reserves from now until late summer. 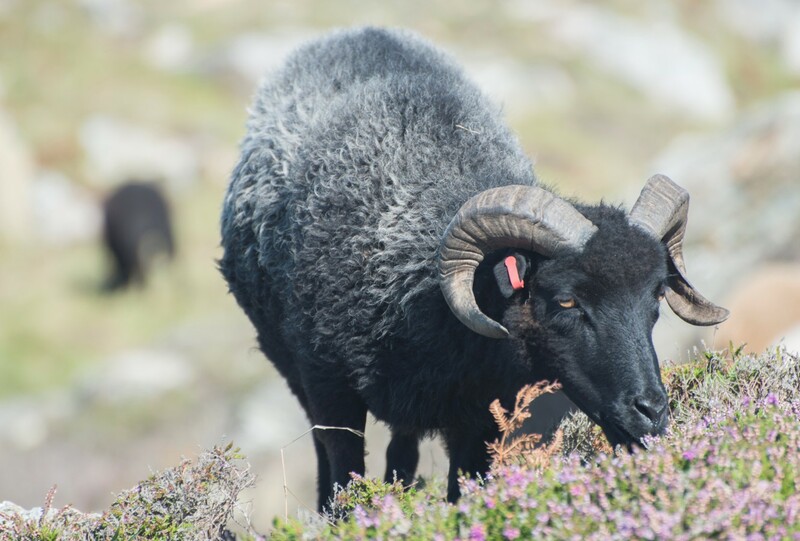 Come and spend a morning with our shepherd as he looks after our herd of Hebridean sheep at RSPB South Stack. Help drive the sheep up onto the reserve, meet the hardworking sheepdogs and learn how the sheep are used to help manage the land for wildlife. After all your hard work, you can relax in our café and enjoy a complimentary bowl of soup and enjoy a complimentary bowl of soup or a sandwich. This will be held from 6 August – 30 November. Booking is essential, call 01407 762100. Image: Hebridean, Laura Kudelska, RSPB Cymru. Join us for an evening walk to find RSPB Newport Wetlands and RSPB Lake Vyrnwy’s bats in their various habitats, before discovering a moth trap up close. A moth trap will also be on hand, as well as wine roping and sugaring to see what different species you can spot throughout the evening. You’ll get the chance to find out why these amazing creatures make their homes at Lake Vyrnwy and Newport Wetlands and what you can do to help. The walk will be held at RSPB Lake Vyrnwy on 25 August, 8pm. Please call 01691 870278 to book. The RSPB Newport Wetlands bat and moth walks will take place 31 August & 1 September. Please call 01633 636353 to book. 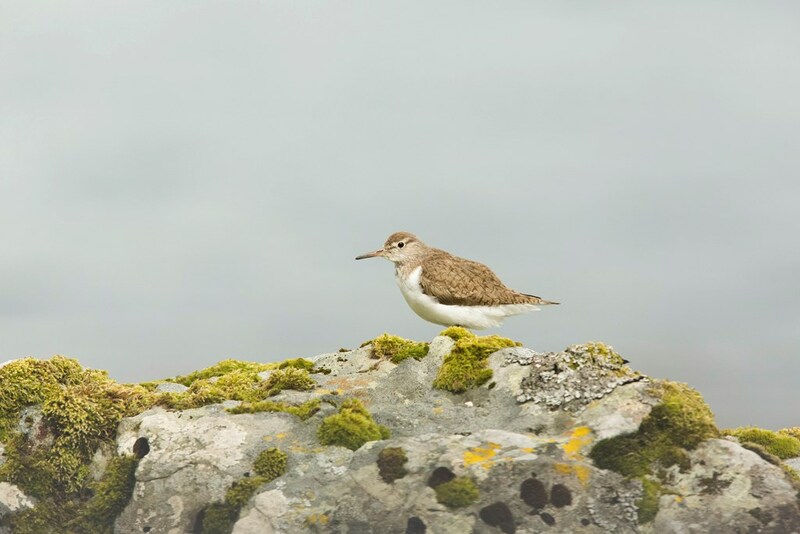 Visit RSPB Conwy and discover the reserve’s wading birds during their peak migration time. With hundreds of birds moving on to the lagoons at high tide, there’ll be opportunities to challenge your ID skills with a chance to see some of the reserve’s more unusual visitors. Booking once again is essential, please phone 01492 584091. Join the team for a guided walk around RSPB Ramsey Island, with a special focus on grey seals as they come onto the island’s beaches to give birth. You’ll get the chance to learn about their fascinating lives and our research programme. We’ll spot some of Ramsey’s other wildlife along the way, learn about its history and find out what it’s like to live and work on a remote island. These will be held on 13, 20 and 27 September. Call 01437 721721 to book. Join us at RSPB Ynys-hir to celebrate the life of a true RSPB great, William Condry, as MOMA Machynlleth (Museum of Modern Art) link up reserve staff to set up the exhibition. William Condry played a crucial role in the beginnings of RSPB Ynys-hir and became the reserve’s Warden in 1969. Please call 01654 700222 for further information. Finally, to mark Visit Wales’ Year of the Sea, our membership recruitment team is preparing for a tour of the north Wales coastline. From 6-13 August, our team can be found along the coastline from Talacre to Llandudno before culminating in a litter-picking event along the Conwy Estuary. You can then join the fun from 20-27 August on the coast from Penmaenmawr to Anglesey. Please keep an eye on RSPB North Wales Facebook page for more information.